“Snow Men” by Andrew Ceroni begins when Deputy Director of Operations at Langley Center, Peter Novak, and former FBI agent, Dave McClure meet. The meeting takes place in Colorado Springs where McClure retired from regular life after he lost his family in an accident. Novak’s goal and mission was to recruit McClure, but convincing him to come back to work was an impossible task. In the end, McClure headed north to Alaska where he intended to do some soul searching while on a hike around Valdez. But he did not find peace. He found an almost decapitated body in the forest and ended up uncovering a conspiracy from Iranians and Russians to get their hands on an US nuclear warhead. McClure’s survival skills will be put to test in the Alaskan wilderness as he confronts the international thieves and fights the Russian Special Forces to stop their plot. Andrew Ceroni has mastered the art of producing a page-turning thriller. The description of all the different settings this plot takes the reader are spot on and only surpassed by how he takes the reader into survival mode against the elements of the Alaskan wilderness. I felt the intense struggle against nature along with an even more suspenseful and thrilling man against man action ride. Ceroni’s writing style made me feel a part of the action and not just a spectator! 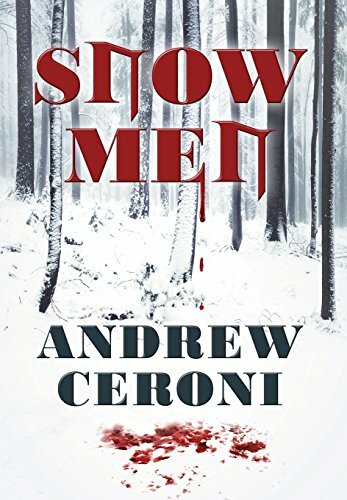 Overall, “Snow Men” by Andrew Ceroni is a suspenseful thriller set against the beautiful and deadly state of Alaska, topped with international intrigue and militia vs. military style action. Well done, a five-star read I will recommend to all thriller fans!